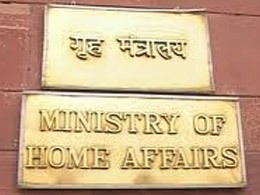 The Department of Border Management of the Union Ministry of Home Affairs (MHA) on 8 July 2015 issued modified Border Area Development Programme (BDAP) guidelines. The guidelines were issued in consultation with all Stakeholders viz. concerned Ministries/Departments of Government of India, State Governments implementing the BADP, Border Guarding Forces and NITI Aayog. Coverage of BADP has been extended to cover all the villages which are located within the 0-10 Km of the International Border, irrespective of the border block of 17 States which constitute the International Land Borders. Representatives of some more Union Ministries viz. Ministry of Rural Development; Ministry of Sports and Youth Affairs; Ministry of Health & Family Welfare; and Ministry of Human Resources, have been made Members of the Empowered Committee (EC) on BADP under the Chairmanship of Secretary, Department of Border Management, MHA, to ensure convergence with the schemes of these Ministries with BADP schemes. Provision for Third Party Inspection and Quality Control Mechanism under MHA for random inspections of the BADP schemes by independent Monitors (Individual/ Agency) to be designated as National Quality Monitors has been made. It has been provided that the State Governments shall have the monitoring of the BADP schemes by the existing District Level Monitoring/vigilance Committee where local Members of Parliament and MLAs are represented. Special/Specific area schemes such as composite development of at least one village of sizeable population surrounded by five-six or more villages close to the border as Model Village, E-chaupals, agrishops, mobile media vans etc. have been made. The Border Area Development Programme (BADP) is implemented through 17 States which constitute the International Land Borders. The 17 states are Arunachal Pradesh, Assam, Bihar, Gujarat, Himachal Pradesh, Jammu & Kashmir, Manipur, Meghalaya, Mizoram, Nagaland, Punjab, Rajasthan, Sikkim, Tripura, Uttar Pradesh, Uttarakhand and West Bengal. It is implemented in 367 Border Blocks of 104 Border Districts in these 17 States. The main objective of the BADP is to meet the special developmental needs and well being of the people living in remote and inaccessible areas situated near the international border and to saturate the border areas with the entire essential infrastructure through convergence of Central/State/BADP/Local schemes and participatory approach. The funds under BADP are provided to the States as a 100% non-lapsable Special Central Assistance. The programme is supplemental in nature and the budget allocation for the financial year 2015-16 is 990 crore rupees. 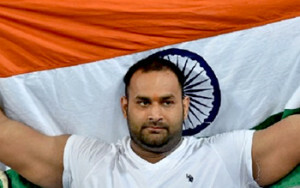 Indian shot-putter Inderjit Singh on 8 July 2015 came up with a best throw of 20.27 meter in the final attempt to win the Gold medal of men’s shot put event at the World University Games in Gwangju, South Korea. With this, he created history to become the first Indian to win a gold medal at the World University Games. In the last edition of the games in 2013 in Russia he had won silver medal in the shot put event. The silver medal of the event was won by Andrei Marius Gag of Romania with a throw of 19.92m while Alexander Bulanov of Russia took the bronze with a throw of 19.84m. In the year 2015, the 27-year old shot putter from Haryana has won gold medals in all the international events he has participated thus far. Earlier on 23 June 2015, he won gold at the first leg of the Asian Athletics Grand Prix in Bangkok, Thailand, while on 3 June 2015 he won gold at Asian Championships in Wuhan, China. Inderjeet Singh is currently coached by Pritam Singh, younger brother of another Indian shot putter Shakti Singh and is being supported by Anglian Medal Hunt Company. Besides, in the men’s 25m Rapid Fire Pistol team event, the Indian team of Achal Pratap Singh Grewal, Amrender Pal Singh Chauhan and Akshay Jain won the bronze medal. The gold and silver medal was won by the Russian and Korean shooters respectively. Russian Direct Investment Fund (RDIF) on 8 July 2015 signed framework agreements for equity investments in infrastructure projects in BRICS countries. 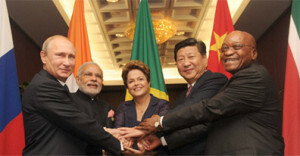 The agreement was signed at the BRICS summit in Ufa. Under this joint mechanism, the parties will work together to identify and finance infrastructure projects that will improve trade, economic and investment cooperation between BRICS countries. This initiative, which was first announced by RDIF at the 2014 BRICS summit in Fortaleza (Brazil), was also supported by the BRICS Business Council. 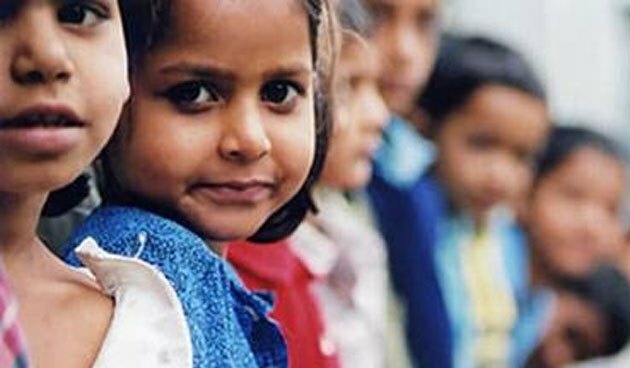 The Operation Smile was launched by the Ghaziabad Police in 2014 with an aim to search and restoration of missing children with their families. Under the operation, the police was able to recover 227 missing children within 30 days of launch. As part of Operation Smile, Ghaziabad police first sensitized and trained 100 police officers of various ranks about issues related to missing children, POSCO Act, Juvenile Justice Act and Protection of Child Rights Acts and then sent them to various parts of the country including Delhi, Jaipur, Haridwar, Gurgaon, Mumbai and Kolkata to recover missing children in relation to FIRs lodged in Ghaziabad. Later, after seeing the success of the operation launched by Ghaziabad Police, the Union Home Minister Rajnath Singh in a letter written to all States on 12 December 2014 asked all states to emulate the campaign. Union Ministry of Home Affairs (MHA) in first week of July 2015 extended the ‘disturbed area’ status of Nagaland for one more year. The ‘disturbed status’ area became effective from 30 June 2015 and will be in effect until 30 June 2016. The Home Ministry in its notification said that the government is of the opinion that the entire state is in such a “disturbed” and “dangerous” condition that the use of armed forces in aid of civil power is necessary. Complete Nagaland was declared as a disturbed area for a period of one year in exercise of the powers conferred to Union Government by Section 3 of the Armed Forces (Special Powers) Act 1958. The decision came almost a month after NSCN-(Khaplang), the dominant Naga rebel group, attacked an army convoy in Manipur’s Chandel district and killed 18 soldiers. Since 2005, the Nagaland government by citing the falling levels of insurgency-related incidents or deaths has been seeking removal of the ‘disturbed’ area tag from the state. Professor Lord Kamlesh Patel of Bradford OBE was on 8 July 2015 appointed as an independent member on the 14-member board of the England and Wales Cricket Board (ECB). With this, he became the first British Asian to join the ECB Management Board which is chaired by Colin Graves and the President of the Board is Giles Clarke CBE. Lord Patel, who currently sits in the House of Lords as a Labour Peer will replace Lord Morris of Handsworth who is stepping down from the Board after serving for eleven years as an ECB Director. Earlier, he has worked for the Yorkshire Cricket Academy as a part-time coach. In 2014 he served on the judging panel of the inaugural Asian Cricket Awards supported by ECB. He has been one of the country’s most influential and authoritative spokesmen on issues relating to health, social care and equality and human rights. 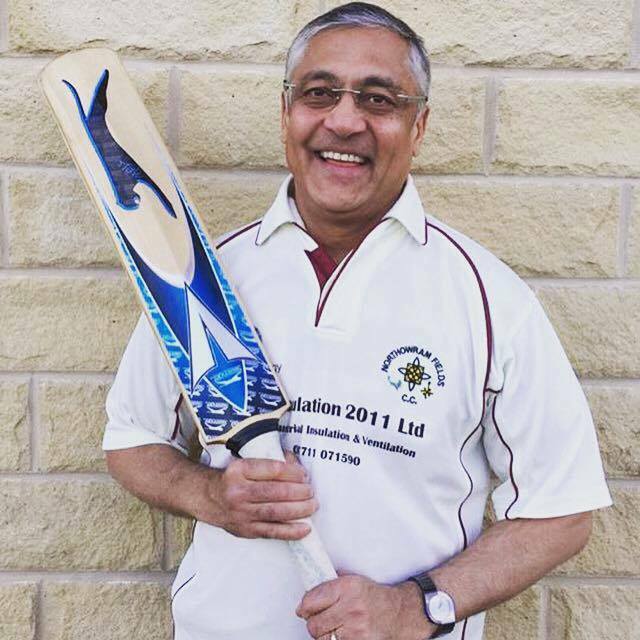 Lord Patel has a long association with the game of cricket who first started playing cricket in the back-street of Bradford and went on to play alongside famous cricketing names in the Bradford League like Phil Sharpe and Geoff Cope. He retired as an all rounder in 1998 after taking all the ten wickets in a league game to resume the playing cricket once again in 2008. At present, he plays regularly for Northowram Fields CC in the Central Yorkshire league. The central banks of Brazil, Russia, India, China and South Africa (BRICS) on 7 July 2015 signed Mutual Assistance Agreement (MAA) aimed at operationalising the BRICS Contingent Reserve Arrangement (CRA) of 100 billion US dollars. The document was signed after a meeting of BRICS finance ministers and central bank governors in the Russian capital Moscow. MAA is an operating agreement on mutual support specifying the procedures to be followed by the central banks of BRICS countries as part of the CRA and defines their rights and obligations. Its purpose is to provide mutual support (monetary funds in US dollars) in the event that national financial systems encounter dollar liquidity problems. It will come into force on 30 July 2015. The World Bank on 7 July 2015 released the State of Safety Nets 2015 report. It aggregated spending on social safety net programs and beneficiaries in 157 countries, economies and territories and presented a comparative analysis of those programmes. As per the report, only 1/3rd of the world’s poor are covered by safety nets program with largest gaps in Sub-saharan Africa and South Asia. 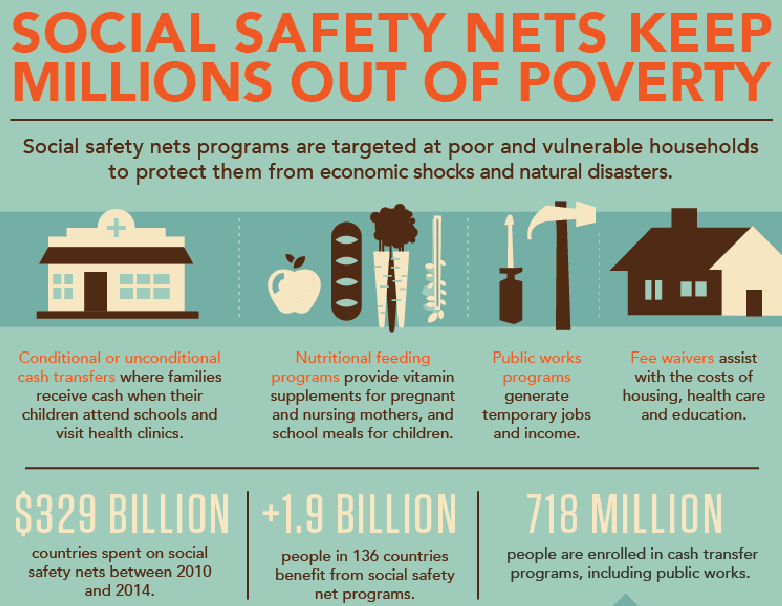 More than 1.9 billion people in 136 low- and middle-income countries benefit from social safety net programs. The combined spending on social safety nets amounted to about 329 US billion dollars between 2010 and 2014. Some 718 million people are enrolled in cash transfer programs, including public works, and constitute 36 percent of social safety net globally. Cash transfers constitute the highest share of spending in all regions except in Sub-Saharan Africa, where food and other in-kind transfers dominate. On average, developing countries spend 1.6 percent of their GDP on social safety nets. This is low compared to other public policy measures such as fuel subsidies. The world’s five largest social safety net programs are all in middle-income countries and reach over 526 million. In low-income and lower-middle-income countries, social safety nets cover only 25 percent of the poor, compared to 64 percent in upper-middle-income countries. In Sub-Saharan Africa and South Asia, where most of the global poor live, social safety nets cover one-tenth and one-fifth of the poorest 20 percent, respectively. The coverage of the poor living in urban areas is lower than in rural settings. The difference amounts to about 8.5 percentage points in low-income countries. Safety net programs on average help reduce the poverty headcount rate by 8 percent. Safety nets reduce the poverty gap (how far the poor are from the poverty line) by 15 percent on average of the poverty gap without safety nets. Cash transfer programs have positive spillover effects on the local economy, with total income multiplier ranging from 1.08 US dollars to 2.52 US dollars for each dollar transferred. Janani Suraksha Yojana (JSY) is the largest in Conditional Cash Transfers (CCT) category with 78 million beneficiaries. Mid Day Meal programme is the largest in the School feeding category with 105 million beneficiaries. Mahatma Gandhi National Rural Employment Guarantee Scheme (MGNREGs) is the largest in the Public Works Programme (PWP) category with 182 million beneficiaries. Indira Gandhi National Old Age Pension Scheme (IGNOAPS) is the second largest in the Unconditional Cash Transfers (UCT) category with 21 million beneficiaries. Spending on public distribution system (PDS) accounts for 0.6 percent of GDP. Total spending on social safety nets is 0.72 of GDP with 0.09 percent of GDP in Unconditional Cash Transfer schemes, 0.11 percent in school feeding, 0.29 in public works and 0.23 percent in fee waivers. 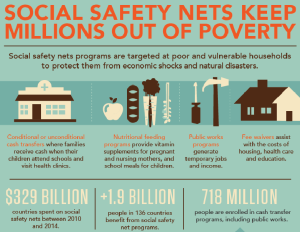 Social safety net programs include cash and in-kind transfers targeted to poor and vulnerable households with the goal of protecting families from the impact of economic shocks, natural disasters, and other crises. It also includes spending on children to ensure they grow up healthy, well-fed, and can stay in school and learn, empowering women and girls and creating jobs. In order to assess the impact of social safety nets, the report relied on Household Surveys in 105 Countries, Economies, and Territories. In case of India the results of National Sample Survey 2009–10 (66th round) was taken into consideration. The Union Ministry of Youth Affairs and Sports on 8 July 2015 constituted an eight member committee to study status of Sports Authority of India (SAI) training centers across the country. 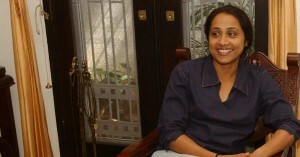 The committee will be headed by former athlete Ashwini Nachappa and includes Pullela Gopi Chand as a member among others. The committee was formed against the backdrop of suicide attempt by four girl inmates at the Sports Authority of India (SAI) SAG Water Sports centre at Alappuzha, Kerala in May 2015 that resulted in death of one girl trainee. The committee was mandated to recommend measures to ensure that such incidents do not occur in future. Before finalising on its recommendations, the committee will study the issues related to management of athletes stress levels, quality of food served, timely availability of dietary supplements among others. The committee is mandated to submit its report within 3 months. SAI Training Centre (STC) Scheme was launched in 1995 in order to groom junior level sports persons between 12 and 18 years. AT present, there are 56 STC Centres spread across the country having a total strength of 5394 trainees. Senior IAS officer Sanjeev Nandan (SN) Sahai was on 8 July 2015 appointed as the Home Secretary of Delhi. Sahai is a 1986 batch Union Territory cadre officer. Sahai succeeded senior IAS officer Dharam Pal, who was removed as Home Secretary in June 2015 by the AAP government. SahaI is the Finance Secretary of Delhi and had played crucial role in preparing budget for Delhi government. Dharam Pal was removed by the AAP government after he signed a notification appointing Joint Commissioner of Delhi Police M K Meena as new chief of Anti-Corruption Branch (ACB) following LG Najeeb Jung’s order. Jung on 8 June appointed Meena superseding Kejriwal’s hand-picked chief S S Yadav. Consequently, the AAP government challenged the appointment in Delhi High Court. World Health organisation (WHO) on 7 July 2015 released the Global Tobacco Epidemic Report 2015. The focus of the report is on R of MPOWER measure which stands for Raise taxes on tobacco. According to the report, there has been notable progress in global tobacco control since the publication of Global Tobacco Epidemic Report 2013. The global population covered by at least one MPOWER measure at the highest level has increased from 2.3 billion to 2.8 billion, which is an increase of half a billion people that constitutes 7% of the world’s population. More than half of the world’s countries, with 40% of the world’s population have implemented at least one MPOWER measure at the highest level of achievement. The number of countries implementing at least one MPOWER measure at the highest level increase from 92 in 2012 to 103 in 2014. A total of 49 countries with nearly 20% of the world’s population are covered by two or more MPOWER measures at the highest level, tripling the number of people protected by at least two fully implemented tobacco control measures to 1.4 billion people since 2007.
countries, five of which are low- and middle-income, have implemented four or more MPOWER measures at the highest level. Six countries (four of which are low and middle-income countries with more than 4% of the world’s population, viz., 300 million + people), are only one step away from having all MPOWER measures in place at the highest level. 5 countries with a combined population of 187 million people, (Chile, Jamaica, Madagascar, Russian Federation and Suriname) implemented a comprehensive smoke-free law covering all indoor public places and workplaces. 7 countries (Kiribati, Nepal, Russian Federation, Suriname, United Arab Emirates, Uruguay and Yemen) introduced a complete ban on all tobacco advertising, promotion and sponsorship (TAPS) activities, thus protecting an additional 209 million people from exposure to TAPS. 6 countries implemented appropriate cessation services. The net gain for offering assistance to quit was five countries and 173 million people. Twelve countries with a combined population of 370 million people (Bangladesh, Costa Rica, Fiji, Jamaica, Namibia, Philippines, Samoa, Solomon Islands, Trinidad and Tobago, Turkmenistan, Vanuatu and Viet Nam) implemented large graphic pack warnings. Seven countries (Bangladesh, Bosnia and Herzegovina, Croatia, Kiribati, New Zealand, Romania and Seychelles) raised taxes on cigarettes to more than 75% of the retail price. However, the net gain was only two countries and 154 million people as four countries did not maintain sufficiently high taxes after 2012, and one country did not provide data. Raising tobacco taxes to more than 75% of the retail price is among the most effective and cost-effective tobacco control interventions. Calling for urgent need to give attention to R measure of MPOWER, the report has deplored the fact that only a few countries have increased tobacco taxes to best practice level. 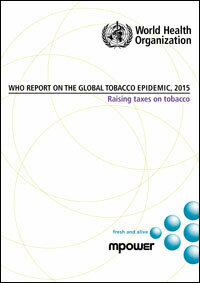 More than 80% of countries have no tobacco taxation in place at the highest level of achievement. Further, the report deplores the fact that R measure has seen the least improvement since WHO started assessing these data through MPOWER measure in 2007. In India the tobacco consumption has increased with increase in purchasing power. This is despite the fact that India has raised taxes on tobacco products thus, showing ineffectiveness of tax increase on tobacco consumption. India is among the highest achieving countries in 2014 wherein mass-media campaigns against tobacco have been effective. The complex tax structure in India has made the implementation of MPOWER measure less effective. MPOWER measure is an acronym of measures that was introduced in 2008 by the WHO to assist Parties in meeting some of their WHO Framework Convention on Tobacco Control (WHO FCTC) obligations that came into force on 27 February 2005. 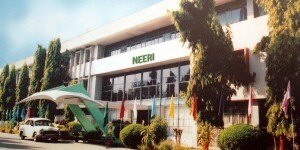 An Electronic Nose (E-Nose) was jointly developed by Nagpur-based National Environmental Engineering Research Institute (NEERI) of CSIR and Centre for Development of Advanced Computing (C-DAC). The development was announced by CSIR-NEERI and C-DAC on 8 July 2015. E-Nose technology will help monitor the surrounding environment to sniff out dangerous gases. It is a portable device and measures odour concentration as well as odour intensity. It uses an array of sensors that function on the principle similar to that of human olfaction (sense of smell). The sensor array generates a pattern based on the type of aroma. It is possible to train the software by feeding information based on observation of experts. It is the first of its kind of technology to be developed in India that makes use of intelligent software to identify odorous molecules. It can help sniff out a variety of volatile organic compounds (VOCs) and odorants at a pulp and paper mill industry with a prime objective to protect the health of thousands of workers working in this industry. It helps in continuous monitoring of these gases, overcoming all limitations of the available analytical instruments that are not only expensive and time-consuming. It also establishes a correlation between sensory and analytical measurements for the sulphurous odorants generated from pulp and paper industries, tanneries and distilleries. It can be easily operated at a pulp and paper mill industry and is currently functioning successfully at the Mysore Paper Mills Limited at Bhadravathi in Karnataka and Tamil Nadu Paper Mill. Union Railway Minister Suresh Prabhu on 8 July 2015 launched a mobile ticketing app for unreserved tickets that will cover 35 stations between the 123 km long Churchgate-Dhauroad suburban section in Western Railway. The ministry also launched two other IT-based initiaves including a SMS destination alert service for premier trains and an e-ticketing portal in Hindi. The mobile ticketing application for unreserved tickets aims to facilitate a hassle free travel for lakhs of daily passengers in Mumbai. Developed by Centre for Railway Information Systems, the paperless unreserved ticketing feature in mobile application aims to eliminate the need for printing of unreserved tickets. The app works on both Android and Windows platform. It can be downloaded from Google Play Store or Windows Store by the user. Payment for the ticket is done through the railway wallet feature in the App. After booking the ticket, the passenger will get ticket confirmation screen which will contain limited information about the ticket. 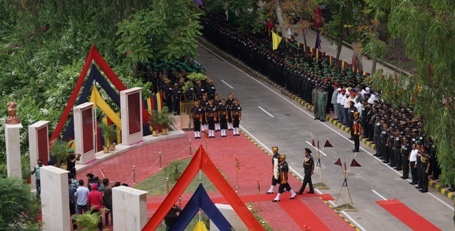 Indian Army on 8 July 2015 dedicated the monument named Prerna Sthal at Hussainiwala to the nation. The commemorative monument was built to honour the sacrifice of soldiers of India. The newly constructed Prerna Sthal is located at the gateway of the memorial to Shaheed Bhagat Singh at Hussainiwala, a village in Firozpur district of Punjab, India, where Bhagat Singh, Sukhdev and Rajguru were cremated on 23 March 1931. The monument was dedicated to the nation amidst the musical notes played by the buglers of the Last Post from the roof of the historical Hussainiwala railway station. General Officer Commanding-in-Chief, Western Command, Lt Gen KJ Singh laid the inaugural wreath and observed a two minute silence as a mark of respect to the martyrs. Prerna Sthal encompasses seven pillars made of sand stone with copper finish metallic inscription plaques. The central pillar that is large in size carries a portrait of Bhagat Singh. The first of the six smaller ancillary pillars has been scripted with motivational verses and remaining five pillars narrate briefs of various battles fought in this specific place as well as the names of martyrs and details of gallantry awards. Climate Change was announced as the theme of 2015 Science Express. This was announced during the first meeting of Science Express Climate Change Special (SECCS) chaired by Union Minister of Science and Technology Dr Harsh Vardhan on 8 July 2015 in New Delhi. The meeting was held to decide the overall contours of the theme and elicit suggestions from volunteers and experts involved in the running of the Express. It is a unique science exhibition mounted on a 16-coach AC train. Its focus is on spreading awareness about science and technology among students from schools and colleges and general public at large. It has been travelling across India successfully since 2007. It is a joint initiative of three Ministries and Departments – Ministry of Railways, the Department of Science & Technology and Ministry of Environment, Forest and Climate Change. 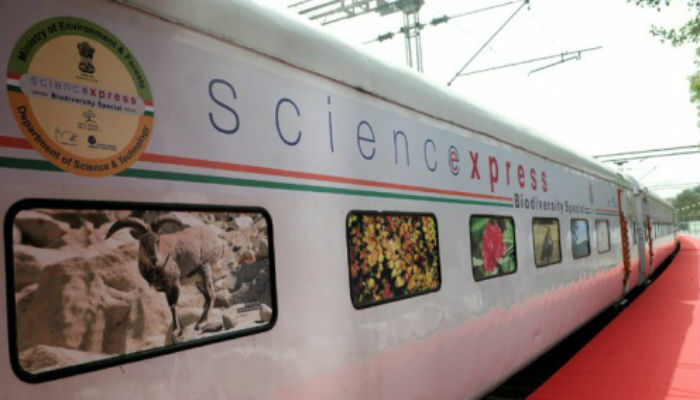 From 2007 to 2011, the train was running as Science Express displaying the world of micro and macro cosmos, spreading the awareness about strengths of science in meeting global challenges, including latest discoveries and innovations in the field of modern science. In the year 2012, Science Express was redesigned on the theme Biodiversity and since then it has been running as Science Express Biodiversity Special (SEBS). Rahul Bhatnagar was on 8 July 2015 appointed as the Managing Director (MD) and Chief Financial Officer (CFO) of Bharti Enterprises. He will report to Sunil Bharti Mittal, Chairman of Bharti Enterprises. 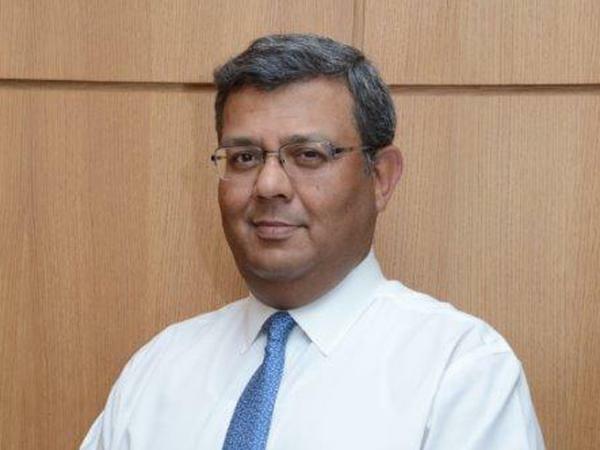 Bhatnagar succeeded Manoj Kohli, who has assumed the role of Executive Chairman of SBG Cleantech, a Joint Venture between SoftBank, Bharti and Foxconn for renewable energy. Telangana government and International Crops Research Institute for the Semi-Arid Tropics (ICRISAT) on 7 July 2015 signed Memorandum of Understanding (MoU) to improve profitability of farmers. The MoU was signed by C Parthasarathi, Secretary and Agri-Production Commissioner; Jayesh Ranjan, Secretary, IT, Electronics & Communications; and ICRISAT Director General David Bergvinson. Under this MoU, the organisation will provide Information and Communication Technology (ICT)-based knowledge sharing platforms and other agricultural innovation initiatives to farmers in order to improve their productivity. The partnership will explore areas of collaboration in the field of digital agriculture along agriculture value chain and also explore the possibilities of ICRISAT playing an active role in the T Hub (an incubator launched by the Telangana government). The partnership will help launch innovative digital platforms that aim to revitalise information dissemination in rural areas, provide expert systems for providing real time advisories and ensure better access to market information by small-holder farmers in the state. It will also enable state government to create new economic opportunities through digital agriculture and enable to create direct linkages between consumers and farmers. Notable Urdu poet, critic and orator Bashar Navaaz passed away in Aurangabad, Maharashtra. He was 80 years old. He was known as an Indo Pak shayar as his gazals are popular in India as well as Pakistan. Born on August 18, 1935 at Aurangabad, Maharashtra. His writings were regularly published in various Urdu literary journals magazines in India and abroad. His books Rayagan, Ajanabee samandar were very popular among gazal lovers. Gazals: As lyricist he wrote number of gazals for hindi movies. Famous gazals are Bazaar, Jaane vafaa, Loree, Tere Shahar me etc The Gazal Karoge yaad to har baat yaad aayegee from film Bazaar is all time hit song. Awards: He was honored with Galib award of Galib Academy New Delhi, Maharashtra State Urdu Academy award, Iftekhaar E Adab award, Pulotsav Samman for his contribution to Urdu literature. India and United States have signed inter-governmental agreement to implement the Foreign Account Tax Compliance Act (FATCA). 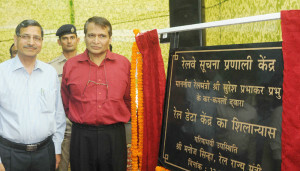 It was signed by Revenue Secretary Shaktikanta Das and US Ambassador to India Richard Verma in New Delhi. The agreement will promote transparency on tax matters and curb offshore tax evasion by exchange of information between the two countries. It is obligatory on signatories to exchange a wide range of financial information among themselves automatically and periodically. Henceforth, Indian financial institutions will have to reveal information about US tax payers to the revenue department. This information will be further passed on to the US tax authorities. In turn, the US will also share similar kind of financial information with India. 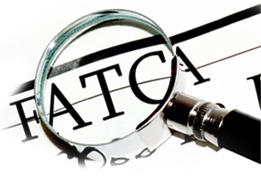 Under the provisions of FATCA, it is mandatory for all financial institutions outside of the US to periodically transmit information on financial accounts held by US citizens to its US Internal Revenue Service. If they failed to do so they will face a 30 percent withholding tax on payments made from the US. China has nominated its former finance Minister Jin Liqun as the Presidential candidate for $100 billion Asian Infrastructure Investment Bank (AIIB). Presently, Jin is Secretary General of AIIB’s interim secretariat. Prior to this he was chairman of China International Capital Corporation (CICC), one of the mainland’s largest investment banks. He also had held various positions at the World Bank. He was the first Chinese national to serve as a Vice President of Asian Development Bank (ADB) which is controlled by Japan. Jin headed programmes for South, Central and West Asia and private sector operations during his 5-year-long tenure at ADB. The President of AIIB will be national of a regional member. Election process: He will be elected an open, transparent and merit-based process by the Board of Governors of Bank with 75 per cent majority. This procedure has been mentioned in the Articles of AIIB Agreement which signed by 50 countries in June 2015. Term: Five years and can be re-elected once. 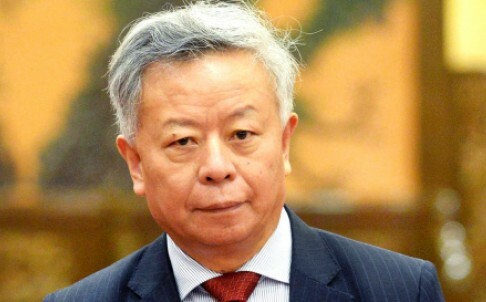 Jin Liqun will be elected as AIIB President as China has 26.06 per cent share of the votes (especially veto) in the bank which is seen as a rival to the U.S. and Europe-dominated banking institutions. The post of vice-president by virtue may be given to India as it second largest shareholder in the bank. Vadodara district of Gujarat and China’s Xinjinag province has inked a memorandum of understanding (MoU) for the development of twin cities. 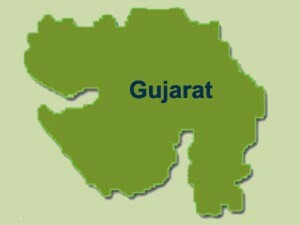 It was signed between Vadodara Municipal Corporation and Changji Hui Autonomous Prefecture of Xinjinag Uygur Autonomous Region in Mumbai. Mutual cooperation in economic, technological, scientific and cultural strengths between both cities. People-to-people exchanges fostering greater mutual understanding. The MoU was signed in the presence of Mayor of Vadodara and the Governor of Changji state Ma Xiongcheng along with five ministers. 39th session World Heritage Committee (WHC) of the United Nations Educational, Scientific and Cultural Organization, (UNESCO) has inscribed 24 new sites into the World Heritage List. Decision in this regard was taken at WHC’s annual meeting held in Bonn, Germany. 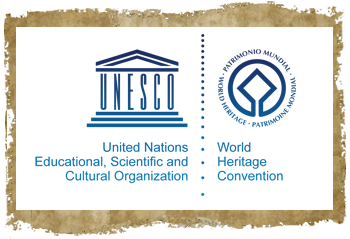 In this meeting total 36 sites were examined and 24 sites were granted world heritage status. With this the total number of world heritage sites has increased to 1,031. Tusi sites (China), Christiansfeld, a Moravian Church Settlement (Denmark). Susa (Iran). Cultural Landscape of Maymand (Iran). eMudhra Limited, a leading certifying firm in the country for digital signatures launched first of its kind eSign services in the country as part of the Digital India Vision. eSign is an online electronic signature service legally valid and secure under the Information Technology Act, 2000. It will facilitate an Aadhaar holder to digitally sign a document within seconds. It seeks to pave the way for a digital transformation into a paperless environment by revolutionising the way of business and governance conducted in the country. eMudhra Limited also launched eMlocker which facilitates a person to store important documents such as Aadhaar cards, PAN cards, electricity bills or any other documents electronically. 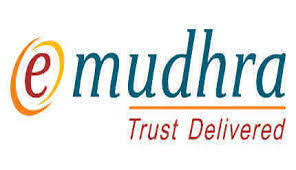 eMudhra Limited is a statutory licensed Certifying Authority of India to issue digital signature certificates.Established: in 2008 under the Information Technology (IT) Act, 2000. eMudhra offers variety of other services including Tax filing Services, Digital Signing Solutions, PAN Card Online applications. Digital Certificate Authentication System and Trusted Time Stamping etc. Its clients are corporates, Banks, government organizations, individuals and several small and medium businesses. Digital Signature: It is an electronic signature used to authenticate the identity of the sender and signer of a message or document. It ensures that original content of the message or document remains unchanged or tapered after it is send. 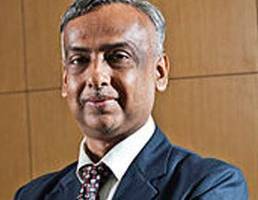 Union government has appointed Sriram Kalyanaraman as the Managing Director (MD) and Chief Executive Officer (CEO) of National Housing Bank (NHB) for a period of five years. With this he became the first person from private sector to be appointed as head of a public sector financial institution. 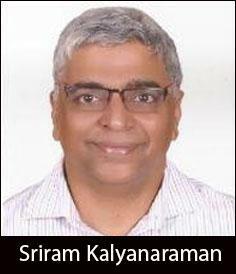 Presently, Kalyanaraman is director-business development Equifax Credit Information Services. Prior to joining Equifax, he was Director, Business Clients and Asset Products at Deutsche Bank India. 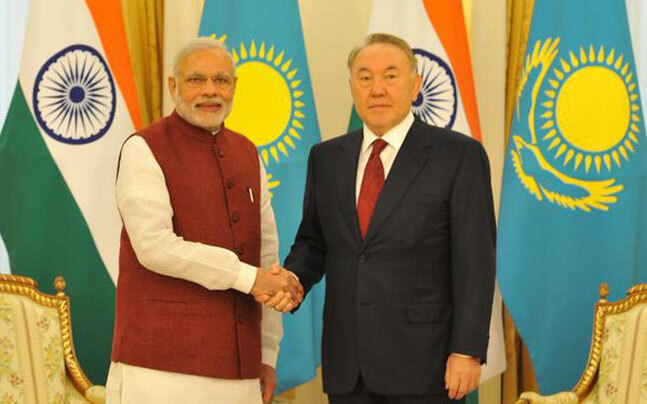 India and Kazakhstan have signed five agreements in various sectors focusing on strategic, economic and trade cooperation between both nations. The agreements were signed in Astana after delegation level talks between Prime Minister Narendra Modi and his counterpart Kazakh President Nur Sultan Nazar. Agreement on Defence and Military: Both nations will form joint working group (JWG) on counter terrorism, defence training, exercise and production of defence equipment. MoU on Cooperation on Physical Cultural and Sports: It was signed between India’s Ministry of Youth Affairs and Sports and Kazakhstan’s Ministry of Culture and Sports. MoU on Technical Cooperation in the field of Railways: It was signed between India’s Ministry of Railways and Kazakhstan Temir Zholy. Agreement on Transfer of Sentenced Persons: It will facilitate swapping to prisoners from both countries to serve their remaining sentence in home country. Agreement on supply of Uranium to India: Kazakhstan the world’s largest producer of uranium will supply a total of 5,000 tonnes of the natural uranium to India during the 2015-19. Thus it will play important role in India’s energy requirement and energy security. Apart from signing these agreements, India has also shown interest in Fertilizer sector in Kazakhstan due to abundance availability of Natural Gas. Hydro carbon sectors of Kazakhstan for drilling and production of crude oil.